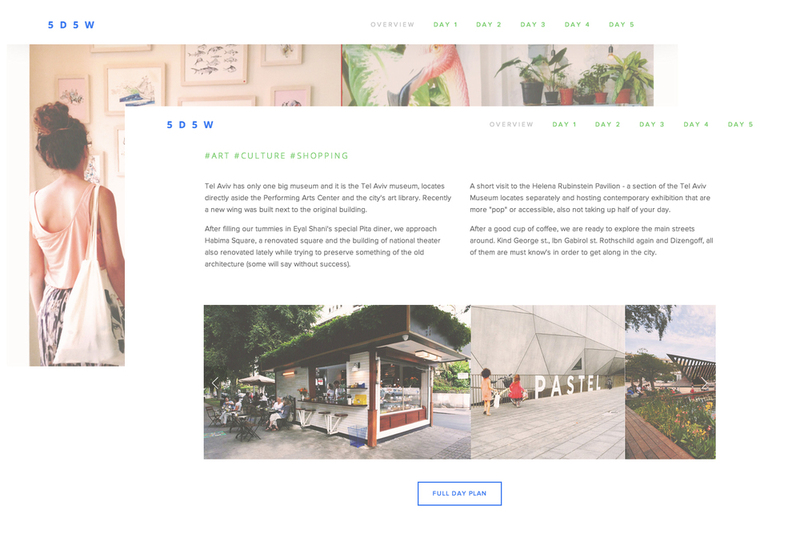 2014, Personal Project | 5 Days 5 ways TLV is a project I'm currently developing in cooperation with my good friend, Yoel Glizer. Yoel and I started this project out of great love for our city, Tel Aviv. 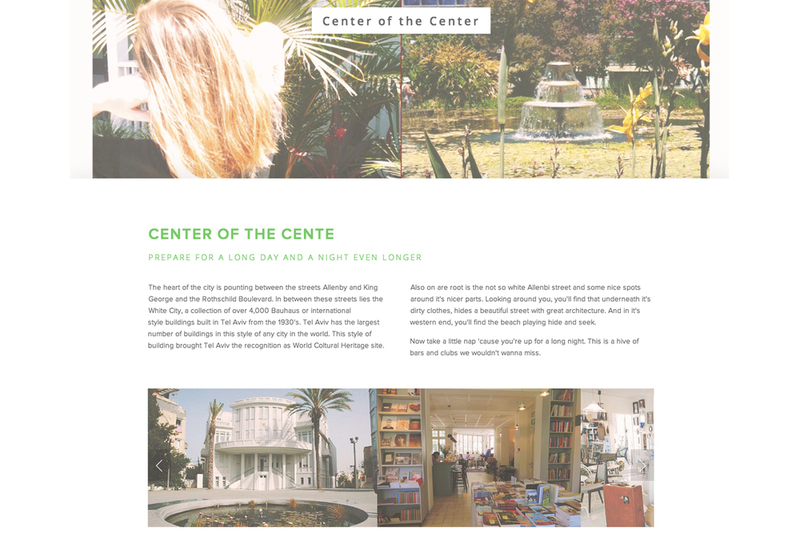 We wanted to make it easier for tourists to understand the city's structure and find its hidden corners and best local spots, even if they are only in town for a short vacation. We tried to create a guide that people can use "on the go" and don't have to sit for hours just to read through. 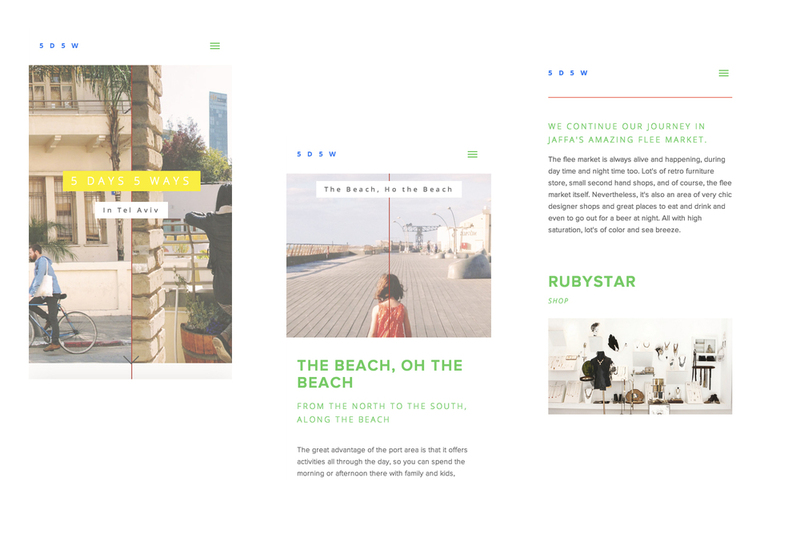 In the responsive website, you can find a very visual itinerary for every day, a printable map with the exact route marked on it and in addition, people can share their pictures from this day. The project is still under development and this is just a first version of it.